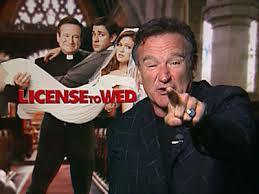 Yesterday the world reeled from the sudden death of Actor/Comedian Robin Williams. Today tributes will flow, and rightfully so, from all corners of the earth, from those who knew him and worked with him, to those who respected and enjoyed his immense talent – he was a rare talent that could seize any moment, and turn it into theatre and laughter. He will be remembered for his many roles, his ability to own the part, to make them unique likeable characters that only he could create. But beyond this is another Robin Williams, a modern day Charlie Chaplin – both of whom are notable, not just because of their fame, but their political positions. By comparison Williams has had it easy; the outspoken Charlie Chaplin was considered a communist supporter and was on the target list of Edgar J Hoover, because of his ‘unacceptable’ political views. Some people might be wondering what political views I am referring to when I speak of Robin Williams. There was a time when I only saw the funny guy too; like ‘Mork from Ork’ and the hilarious ‘Mrs Doubtfire’. For me the realisation of this other side of Williams came with the film ‘Mrs Doubtfire’ – it appears loud and exaggerated as much comedy does, but the thing was, when this film was released in the early 1990s, I had not experienced the family court or felt the very real effects of the embittered feminasties, that had made their way into positions of power within our social system. The second time I saw the film I had, and I looked much more closely at Williams as a political voice. It made me realise that as a married man in New Zealand society, how removed I had been from the reality of feminism and the effect on the individual – how easy it was not to understand and be aware of what was happening to men, what was often being laughed off because the stories being told from behind the secrecy of the Family Court seemed sometimes to comical to believe. Williams had a world view of male issues and was a political voice outside of his acting career; he protested war and homelessness, divorce and child support. While he understood the inner-child and it’s worth to the world he also understood the vulnerability of men within a feminist system. At age 63, Robin Williams’ prolific career has been cut short, apparently by his battle with depression and addiction, but his last message on social media is perhaps the one that should ring loudest. Happy Birthday to Ms. Zelda Rae Williams! Quarter of a century old today but always my baby girl. 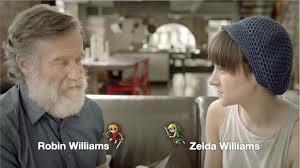 Happy Birthday @zeldawilliams Love you! Regardless of whether you liked this man’s work or not, or even him, he had message, he was on our side, and right to end he was still a father. Robin Williams was a very out spoken critic of the Neo Nazi Obama administration and as we can see from history such persons seem to die suddenly and unexpectedly quite often. Robin Williams made us laugh and feel good even when we all felt down. It is a tradegy that such a person was himself fighting depression. It is also ironic that he is another male suicide victim. Perhaps in death he is making another couple of points. When I saw Robin Williams in Mrs Doubtfire I watched it as a young man who had been brought up in a fatherless evironment. To be fair, that wasnt the fault of my mother, who had remarried. Its just my step father was uninterested in passing on imprtant fatherly skills and my biological father was never a family guy so wasnt interested in providing such skills. I cried at the end of Mrs Doubtfire and I vowed if I ever got married I would never get divorced. Like so many, I was so naive. The abuse in my marriage meant I lived a hellish existence until I realised I would be better off seperated from this beast. She agreed to 50/50 shared custody but soon pulled me into the FC when she didnt get her way. I fought that beast in the same way Robin Williams character foght to be in the lifes of his children. That story gave me motivation and the courage to keep trying. I was lucky. I managed to get through the FC and have come out the other side. My son is now old enough to understand the sexism in New Zealand; he has leanrt it himself. I know he will make the same naive mistakes as me, but this time around, his father will be there for him, as I have always been (except during 1 month when the FC banned them from seeing me). So I satute not just a comic genius, an amazing actor, and smiling beacon of hope, but also a father, a man, a human who had all the weaknesses that we all do. I will shed a tear next time I see Mrs Doubtfire. But I will also laugh and be proud that the character inspired me. Yes he had a message for us all via Mrs Doubtfire and in many other ways as well. As Downunder says his last thoughts of his daughter. I can imagine Robin Williams being a man with the world upon his shoulders, wishing he could do more. There are 5 unfinshed movies, four are expected to be released, but the 5th and unfinished is Mrs Doubtfire 2 – perhaps one movie too far, the one movie he couldn’t make. I am aware of two movies Williams did, Mrs Doubtfire and RV, both were real insights into the problems of modern fatherhood. Most may not be aware of RV, it portrayed a hard working father trying to satisfy a horrid demanding wife and two equally horrible teenage children. It had a happy ending. When my wife saw the movie first time she thought it was a comedy about a family in an RV, till I explained it to her, then she got it. Does anyone know of any other father sympathetic movies Williams did? I am crestfallen to have lost the guy. 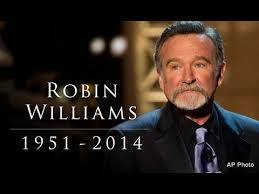 RIP Robin, you are greatly missed. Robin Williams was found dead after telling friends he had “serious money troubles”. He had sought treatment for depression in the weeks before his death, it emerged last night. The 63-year-old actor, who was once reputed to be worth $150 million, had complained of losing a large chunk of his fortune in alimony payments to his two ex-wives, and had been trying to sell his 240ha ranch in California.